Spring is right around the corner, we can feel it! Our favourite season. Snow melting, rain washing it all away, trees budding and, of course, flowers blooming. It is a time of renewal, new beginnings, and glorious warm sun flooding the sky. So it's no surprise that couples choose to have their weddings in the spring. We love weddings and have been blessed to work on thousands of them. So many different ideas, themes, and colours. Each one as unique as the love they celebrate. But it can be a little nerve wracking chasing down every little detail, so we've put together a short guide to help you navigate your decision making when it comes to choosing the perfect flowers for your perfect day. The first step in all of this is your inspiration. 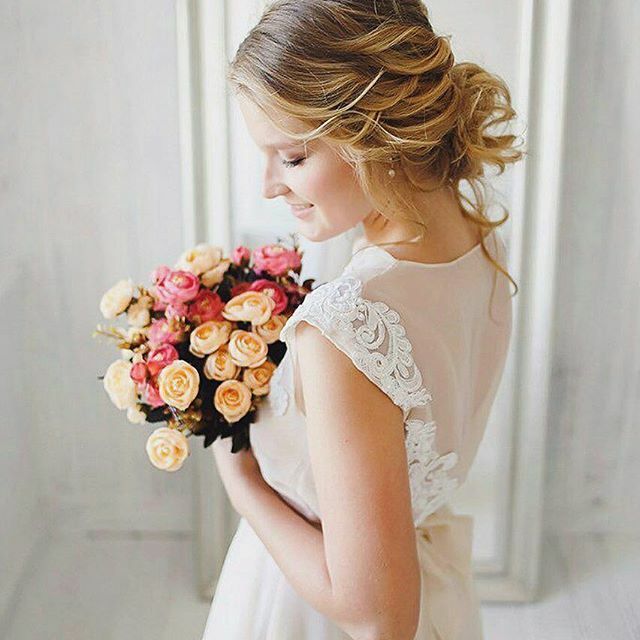 Grab a coffee and browse your local bookstore for bridal magazines, hop in the car and visit greenhouses and botanical gardens, refresh your Instagram feeds, put on some of your favourite music and make a new Pinterest board, or make an appointment with us and we can take you on a tour of all the options available to you. This first step should serve to inspire you. There are so many interesting and beautiful ideas out there, and this a great opportunity to spend some time with your beloved and find out what moves you both. Once you have some ideas together, take a look at what they have in common. Are you leaning towards more classical choices, with full, round white arrangements or is your eye drawn to something more modern with bolder and more exotic tones? It always helps to visualize a picture of a candid moment during your wedding ceremony or reception. How do the flowers complement the venue, the attire, and the mood of your celebration? Where are the flowers placed, what types of flowers are they, and what fragrances are floating through the air? Imagine that moment as clearly as you can, and take notes along the way! Now it's time to team up with us for a consultation. Decide what your vision is and what you can spend to achieve it. Cost is always a factor, but it's not the only one, as we've done so many weddings that we can quickly get an idea of what you're going for and create a breathtaking package to match it. With our expertise, we can suggest and design alternatives that you may not have considered. Our goal is always your satisfaction, and with so many satisfied brides and grooms we're confident we can help make your special day just right. Now it's time to be specific. We'll take you through each arrangement and spiral our way outwards. First off, is the bridal bouquet at the centre of all the action. This is the core design that every other arrangement will take its cues from. This is where we'll ask you about your preferences and refer to your notes. Are seasonal flowers important, what trends do you find engaging, what colours, textures, and tones catch your eye? Next are the Bridesmaids' bouquets, Flower Girl bouquets, and Groom and Groomsman boutonnieres. 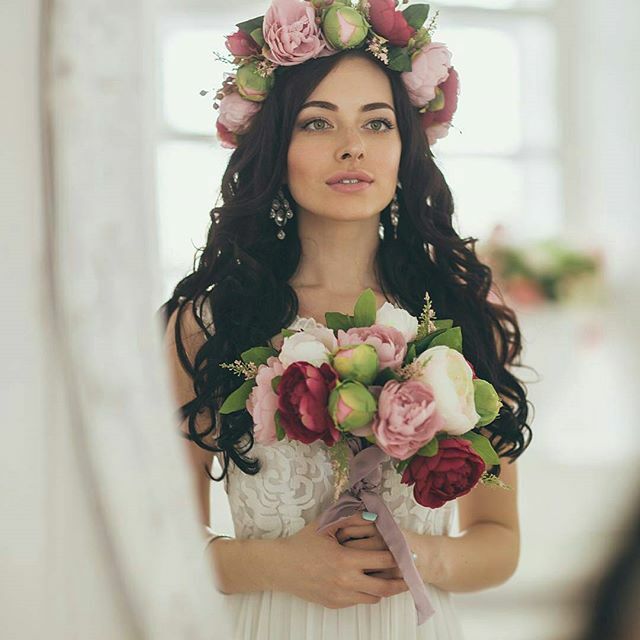 This is also the time to decide about the embellishments you want, pearls and ribbons on the handles, flower crowns, and other options to make your wedding flowers sublime. At this point, everything should be coming together with your floral designer, and your vision has just taken a giant leap forward! Lastly, it is time to decide how you'd like to decorate your venue, now that the floral arrangements for your wedding party have been decided. We usually begin with the Church, Hall, Chapel, or Registry Office where the ceremony will be taking place. We can provide any style of arrangement to adorn the pews, altar, steps, windowsills, candelabras, chandeliers, wedding arches, or any other placement you see fit to enhance the romantic ambiance. Next think about the how you'd like the Car or Limousine decorated as it parades the newly married couple to the reception. Finally, think about the venue where the reception is being held. We usually begin with the centerpieces for the Bridal Table and Guest Tables. Would you like the carpet or tables covered with flower petals? What kind of flower arrangement would you like for the Wedding Gift Table and Guest Registry Table, and would you like arrangements around the hall or dance-floor? And do you need any floral items for your Wedding Favours? In your mind's eye, look around the room and think about every location that flowers can add beauty for yourself and your guests. Hopefully this helps, and never forget that finding love is such an incredible and momentous occasion in one's life. Every step during the planning and preparing should be warm and enjoyable. It's our honour to use our passion, skill, and expertise to bring your wedding dreams to life.